Kunj Ekadashi is associated with Shri Thakurji (Lord Krishna) and is part of the Dol Utsav and Holi festival. Kunj Ekadashi 2019 date is March 17. 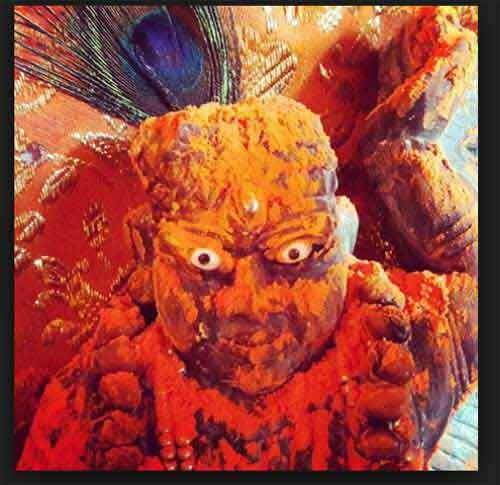 It is observed on the 11th day during Shukla Paksha (waxing phase of moon) of Phalgun month (Fagun Sud 11). Kunj means garden and the belief is that Lord Krishna visits the garden prepared for the Dol festival. The colorful festivities of Dol and Holi from Kunj Ekadashi day are observed during the evening also. From today onwards there is no difference between god and devotee – the conversation enters into friendly talks including foul words are used. Kunj Ekadashi is of great significance at Nathdwara - a town in Rajasthan. It is located in the Aravalli hills, on the banks of the Banas River in Rajsamand District, 48 kilometres north-east of Udaipur. Nathdwara is famous for its temple of Krishna which houses the deity of Shrinathji, a 14th-century, 7-year-old 'infant' incarnation of Bhagavan Sri Krishna. The day is observed as Amalki Ekadasi in other regions. 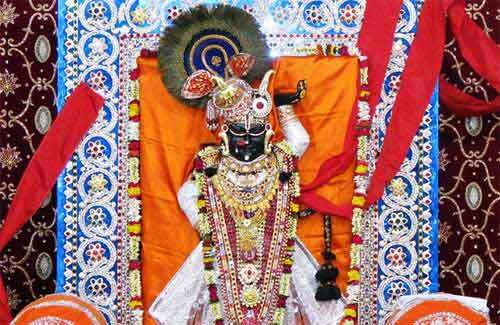 The day is also known as Anwla Ekadashi in Banke Bihari Temple in Vrindavan.